Transit police are asking for the public's help to identify a suspect following reports that a seven-year-old girl was groped on a SkyTrain. The alleged incident took place shortly after 7 p.m. on Saturday, Feb. 2 as the young victim rode the train with her mother from Commercial-Broadway Station. According to authorities, the suspect was already seated on the train across the aisle from the girl, and allegedly began directing his attention towards the victim. "The suspect allegedly made several comments to the girl that were extremely vulgar and sexual in nature, including explicitly detailing sexual acts he wanted to engage in with the seven-year-old," police said. "He then allegedly made several attempts to touch the girl and, at one point, allegedly touched the girl's buttocks, causing her mother to protectively pull her daughter onto her lap." Investigators said the suspect left the train at Production Way Station when a bystander confronted him over the alleged inappropriate remarks. Police received a text message report from another passenger about the incident. Officers met the train in question at Lougheed Station. The suspect is described as a white man between 50 and 60 years old. 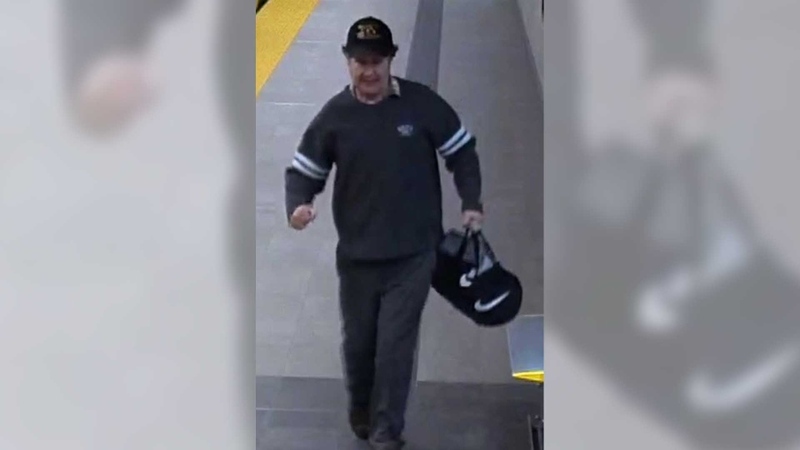 He is about six feet tall, has grey curly hair and was wearing a grey sweater with white stripes on the sleeves, a black baseball cap, grey pants, black shoes and was carrying a Nike duffle bag at the time of the alleged incident. 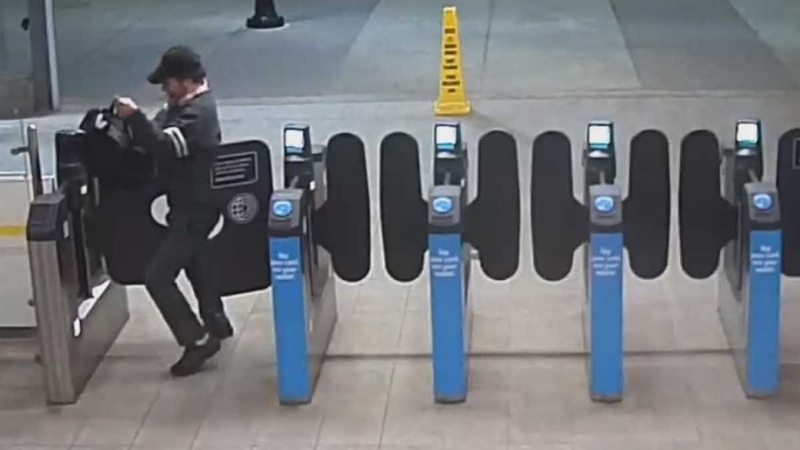 Transit police released surveillance video of the suspect entering Coquitlam Station on Feb. 2, prior to the alleged incident. 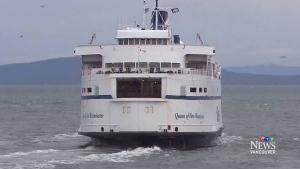 Anyone with information that could advance the investigation is asked to contact authorities at 604-516-7419 or by texting 87.77.77 and referencing file number 2019-1962.